【Disgusting】It's one thing if you applied for permit to demonstrate your disgusting rhetoric in the 228 Peace Park. Unificationists crashed Professor Chen Yi-shen's book launch this morning. Professor Chen's book investigates the 228 Massacre and those who were responsible for the atrocity. The protesters shouted "228 is like an ATM card for DPP and the greens" and directed their insults to the Ill-gotten Party Assets Settlement Committee Chairman Wellington Koo on his ethnicity as a mainlander, blocking him from leaving. A lady wearing a mask even went to the front of the room to tear up Professor Chen's new book. While spewing insults to the Japanese, one of the men also charged Professor Chen and attempted to smash his table. (Video link). Was Chiang Responsible for the 2-28 Massacre? Yes of course. The March 2, 1947 telegram. Academia Historica via Taiwan News. “Anyone with basic common sense can determine that Chiang is the one who should be held responsible,” Chen said (Japan Times). Soon I must remove him , the Baron thought. He has almost outlasted his usefulness, almost reached the point of positive danger to my person. 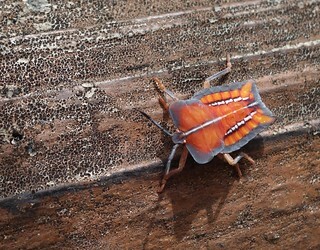 First, though, he must make the people of Arrakis hate him. Then - they will welcome my darling Feyd-Rautha as a savior . A new telegram from 1947 published this month confirms, if any further evidence were needed for evidence-based minds, that KMT leader Chiang Kai-shek provided troops to Chen Yi, governor of Formosa, to murder the Taiwanese who had resisted KMT occupation. The wonder is not that there is disbelief about Chiang's role in the massacre. The wonder is that we are still asking the stupid question of whether Chiang is responsible. The oddity of this discourse stands out. There's very little literature attempting to absolve Stalin or Pol Pot of their crimes. There is for Hitler, but only because he still has worshipers (precisely!). Why the struggle over Chiang's responsibility for 2-28? Same as for Corporal Schicklgruber: partly because there is enormous pressure from the KMT which reverberates down through time, as well as constant steering from pro-KMT academics that skews assessments of Chiang, and KMT funding for those who want to write about him, to block any negative presentations of their culture-hero Chiang Kai-shek, Joshua to Sun Yat-sen's Moses. The man has a personality cult, after all, with its own massive temple-memorial in downtown Taipei. Among the new evidence is a letter dated March 2, 1947, sent by Taiwan Gov. Chen Yi to KMT leader Chiang Kai-shek informing him that he had requested Chief of the General Staff Chen Cheng to send more troops to crack down on civilian protests. While Chiang publicly said he did not agree to send the troops until March 7, the March 2 letter is the newest proof that Chiang, who died in 1975, should shoulder most responsibility for the massacre, said Chen Yi-shen, an associate research fellow at Academia Sinica’s Institute of Modern History. 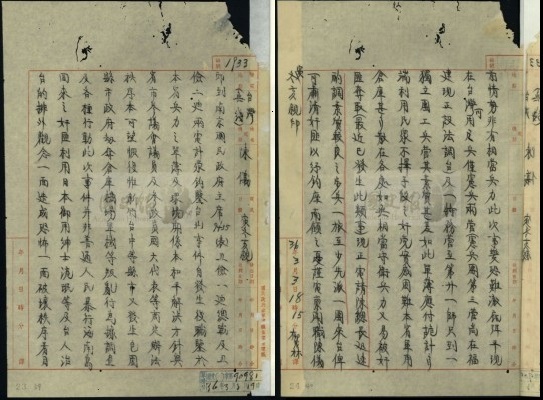 Published even earlier is a March 4 telegram that Chen Yi sent to Chiang requesting more troops from the mainland. The telegram above requests army units with "superior qualities" to su4 qing1 (肅清) "eradicate" the protesters in Taiwan, whom he labeled "bandits". There's absolutely no question about the intent of the language. It's quite clear. National Taiwan University Professor Chen Tsui-lien (陳翠蓮) said that the historians had been looking for the critical document of a telegraph issued by Chen Yi but to no avail, and the discovery has proved the assumption that Chen on the one hand tried to buy time by promising reform and appealing to the native Taiwanese not to take to the streets, but on the other hand pushed Chiang to send troops across the sea to end the uprising. That the violent response to 2-28 went against direct orders issued by both Chiang Kai-shek and Chen Yi has been contested. Chen Yi-shen (陳儀深), for example, has advanced three key points that together make a compelling argument. First, why did Chiang not punish those who disobeyed him? In fact, Chiang rewarded Zhang Mu-tao, Chen Yi, and Peng Meng-qi for their military actions. 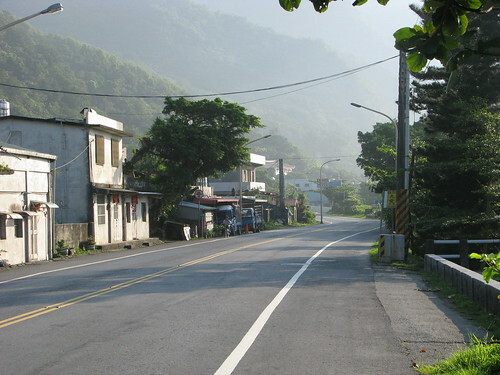 Second, according to former members of the Taiwan Garrison Command, many individuals were singled out for execution on the orders of Chen Yi. Finally, temporary martial law‖ was proclaimed in Taiwan from February 28 to March 1, 1947, and then from March 9 to May 15, 1947. According to the law of Nationalist China, temporary martial law‖ could only be formally recognized when the highest local commander (Chen Yi) asked for official consent from the central government (Chiang Kaishek). Our conclusion is that, according to archival evidence, Chiang Kai-shek must bear a share of the responsibility for 2-28 in the following ways. First, Chiang was responsible for Chen Yi‘s appointment in the full knowledge of his record for violence in previously held administrative positions. Second, Chiang was preoccupied with the civil war in mainland China at the time, and was therefore vulnerable to misleading information, especially information that Communists were responsible for 2-28. In other words, Chiang Kai-shek was guilty of placing far too much trust in Chen Yi, and of having too little confidence in other sources of information. Third, the style of politics that Chiang Kai-shek had engineered allowed factionalism to dominate the administration and the military both in China and in Taiwan. During the crisis of 2-28, factional struggles were so intense and complicated that even Chiang could not exercise ultimate control over different local commanders. Nevertheless, we are unable to hold Chiang Kai-shek directly responsible for the massacre unless further archival evidence reveals otherwise. It's a historians paper, very conservative, and it relies on archival evidence, which the Rawnsleys make clear is subject to new findings. The conclusion is reasonable, so long as you only think about the archives, and it is one that the KMT has attempted to steer historians into reaching. But, the political reality is something else. 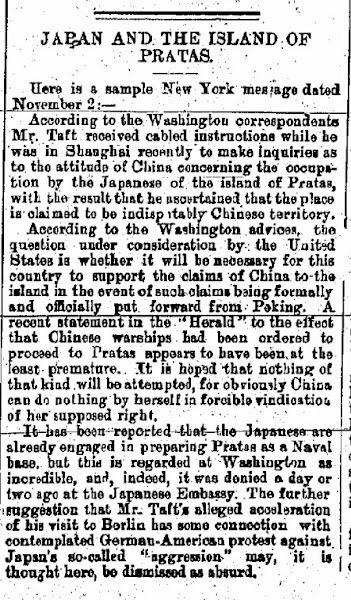 The idea that Chiang would permit Chen Yi to amass an army in Fujian, and then transport it to a large productive island which he could use as a base for independent rule, without Chiang's express permission and approval, is absurd. Dictators do not operate that way: they trust no one, even close subordinates and especially close subordinates, and they do not hand them large armies for independent operations without good reason and without good control. There is no way that Chiang did not know what Chen Yi intended to do with those troops -- Chen Yi had already done so in the 1930s when he was governor of Fujian and massacred rebellious soldiers. Indeed, Chiang had known that. One could just as well argue that Chiang realized that if Formosa was going to be looted, Chen Yi was no man to scruple at killing to accomplish it. The political reality is that Chiang had to know what he was doing and why, or else it wouldn't have happened. Chiang had people in Chen Yi's organization watching Chen Yi and reporting to Chiang, because that is how organizations everywhere in the Chinese world are conducted, from cram schools to the President's office (the army's political officers were gone as a result of the war and not to be reinstituted until 1950 when the KMT had to clamp down on the army to maintain control in Taiwan). Moreover, Chiang had a stream of independent reports on the situation in Taiwan, some of which suggested that Chen Yi be replaced because he was stirring up a revolt, and when the revolt occurred, that Chen Yi's administration was a major cause. Indeed, the Americans and local newspapers had told Chiang so months in advance of the massacre. Much of the discussion of Chiang's culpability hinges on the (unspoken) assumption that Chiang would have acted to right the situation, had he known/properly understood/had not been distracted. This is what normal people would do. Hence it is typical to construct a set of explanations of why Chiang didn't act sooner. But Chiang is not a normal person, but a murderous dictator who ran a brutal police state. What if that assumption is wrong? Why did Chiang retain a subordinate who was known to brutal -- whom Chiang knew was brutal and a terrible administrator because he had been told so again and again when Chen Yi was running Fujian Province -- and likely to stir up a revolt? Why would he retain that subordinate in Taiwan who he had repeated warnings about? Why was Chen Yi permitted to brew up a revolt? One interpretation is that Chiang was busy with the civil war and distracted, etc. We've all heard that. Indeed, after Chen Yi was removed from Taiwan, he was sent to run Zhejiang Province. What's around the bend for the US economy? Absolutely nothing good. A trade war between the world's top two economies would "hurt Taiwan since so much of the Taiwan's tech-oriented consumer industries are tied to those in China, as part of the global value chain," said Steve Tsang, director of the SOAS China Institute, University of London. Taiwan can little afford such a blow, as its economy is in the midst of a difficult transition. Growth rates have been sluggish, hovering around 1 percent per year, while exports have fallen, dropping 13 percent from their $320 billion peak in 2014. It's really not that simple. If they are directed at China, Hong Kong, and Macau, Taiwan might well come out less damaged than many might think. China's firms will still want to export, and export to the US. The natural route will then be through Taiwan, which will show up as falling trade surplus with China followed by rising trade surplus with the US. This will give Taiwan firms added clout in selling stuff to Chinese firms. 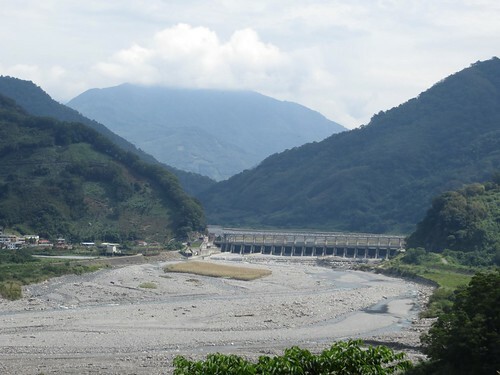 Even more complicated arrangements might arise, as China and Taiwan attempt to re-route goods through countries in Central America that have free trade agreements with the US. The mind boggles at how any of this will be enforced: "Excuse me sir, are you a Muslim? Are you carrying any electronic parts from China?" How things will work out depends on how quickly firms shift to other countries, how China retaliates, and so on. Many scenarios suggest themselves. Taiwan might get a short-term boost via re-exports, and then a long-term hit if Beijing decides to accelerate its attempts to replace Taiwan firms in the supply chain in response to a trade war, or Beijing becomes more autarkic. Another issue is that the Trump Administration's increasingly harsh border practices will make tourists think twice about the US, especially people from countries like India whom America's militant unwashed might consider Muslims and thus, fair game for a bullet from one of the hundreds of millions of guns keeping America safe. Luckily for Taiwan, the government has been promoting Taiwan as a tourist destination for Muslim tourists since late in the Ma Administration. 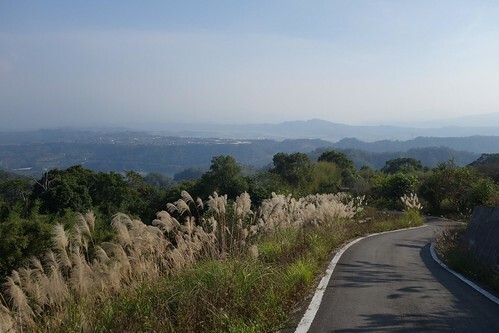 Since tourists in general will probably shy away from the US in coming years, Taiwan's tourist boom will likely get a bump as tourists with money search for alternative destinations. Sooner or later it will begin to find its way into articles, interviews, and similar, sometimes given the same weight as robust scholarly history from "the other side." Readers are invited to imagine what PRC state actors like Shen, often quoted at length in the western media, will be permitted to say because of this new narrative. With the absurd claims to the Senkakus, PRC clout has created a situation where western media avoid comment on the PRC claim, and repeat and repeat and repeat it, legitimizing it. Any marketer can tell you the key to getting ideas accepted is to repeat them. They don't have to have any particular content or to be truthful, they just have to be repeated. That is a key to effective propaganda. Commemoration of the 228 Massacre still remains a sore spot for the KMT, who act as China’s proxies in Taiwan and continue to largely deny historical wrongdoing during the 228 Massacre or in the White Terror which followed. As such, Chinese commemoration of the 228 Massacre may perhaps represent China distancing itself from the KMT. Seeing as commemoration of the 228 Massacre was historically pushed for by the DPP, which emerged out of Taiwan’s democracy movement, this may represent the CCP backing away from the KMT and shifting towards attempting to co-opt the DPP, given the generally floundering political fortunes of the KMT in recent times. This remains to be seen. Attempts to create a similar figure to Wencheng have been attempted with the historical figure of the “Fragrant Concubine,” a Uighur concubine of the Qianlong emperor. Similarly, in many contemporary historical depictions of Genghis Khan in China, Genghis Khan is treated as though he were a Chinese and not a Mongolian emperor, not only to absorb the historical fame of Genghis Khan into Chinese history, but to justify Chinese claims over inner Mongolia. There exist similar attempts in many filmic depictions of Chinese ethnic minorities, propaganda efforts that the Chinese government plans to step up with the announcement of plans to produce fifty-five films featuring China’s ethnic minorities in the near future, with one film for each ethnic minority. The observation that the CCP is possibly attempting to distance itself from the KMT is probably not right, though Hioe is quite right to point it out, and the 2-28 commemoration narrative may eventually be used that way. However, scholar Kharis Templeman pointed out that the PRC's incorporation of 2-28 into its historical fantasies is much older than I had realized, meaning that it is probably not targeted at the KMT at present. He dug up these stamps from 1977 (the 2007 commemoration a few years ago was mentioned in the local media). All cities and counties have a pan-blue leadership, except Taipei and Taitung County, where there is no clear political affiliation, and Chiayi County, where the DPP is in control, according to reports. 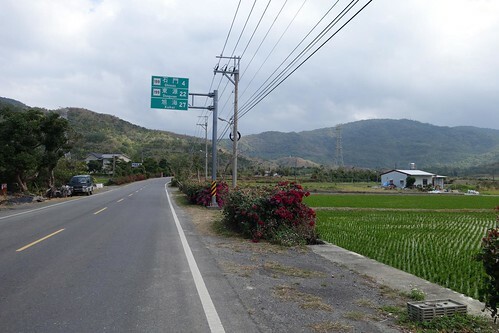 The DPP’s effort to extend its influence failed completely in Yunlin County, the nation’s most significant agricultural county. The DPP aimed to seek more than half of the seats in five of the county’s 20 farmers’ associations in a bid to lessen the control of the Chang family, but the DPP failed to obtain a majority in any of the associations, whereas all the candidates endorsed by the Chang family won. The farmers associations are significant sources of political power, votes, and patronage fundings. Meanwhile, the infighting in the KMT continued. Have the powers that be in the KMT decided to put up Pan Wei-kang as a candidate in the Chairmanship election? Sharp observer Aaron Wytze noted that she is popular with the Old Soldiers and KMT women's groups, meaning that she is a threat to siphon off votes from current Chairman Hung Hsiu-chu's base. Pan was supposed to announce her candidacy today but I haven't seen any news on it. Meanwhile Hau Long-bin, another KMT Chair candidate and former Taipei mayor, suggested running former premier Jiang Yi-hua (Apple in Chinese). I hope so. Jiang and Hau appear to be favorites of Ma, which will not make them appeal to the population at large, especially the under 40 group. Just for kicks, former Ma Ying-jeou presidential adviser and former head of the Personnel Administration Bureau and current head of the KMT’s Evaluation and Discipline Committee Chen Keng-chin (陳庚金), called on public servants to “goof around as much as possible and milk their jobs for all they are worth” to “drag down the government.” Absolutely despicable. Comic relief: Wu Den-yih, also premier under Ma Ying-jeou and another chairmanship candidate, said that the KMT was unable to cultivate talent because of Ma's integrity. Wu said former President and ex-party leader Ma Ying-jeou's integrity and fears he would accused of favoritism saw him unwilling to promote close aides and associates to higher positions. As Michal Thim pointed out in an analysis of this problem, Ma had the habit of appointing mainlander academics to positions in his cabinet, instead of appointing politicians out of the party. This meant that when they were done serving, they returned to academia. Thus, the KMT did not benefit from their experience, and few KMT politicians received practice in administrating large government bodies. The DPP truly is better at cultivating politicians. 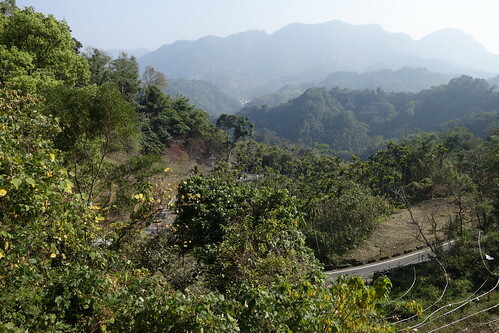 Jenna goes to Vietnam, takes lovely pictures, muses on Taiwan tourism. Lots of good stuff in the latest GTI brief, including a good piece on how Taiwan's energy firms can hook into Tsai's Southbound policy. Commonwealth with a great series on the labor law changes. Here's one. 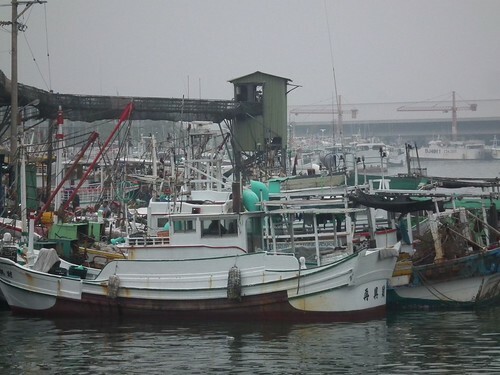 Spain ships 200 Taiwanese scammers off to China. Good from the law enforcement point of view. Bad from the diplomatic point of view: Spain referred to them as "Chinese citizens". BIKE ROUTE MAP: from local cyclist. New Academic Journal for Taiwan Studies Announced! 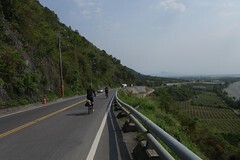 The west coast south of Fangliao. An exciting new peer-reviewed academic journal on Taiwan studies, the International Journal of Taiwan Studies (IJTS), will be launched by Brill in March 2018. 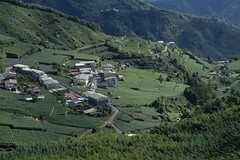 IJTS, cosponsored by Academia Sinica and the European Association of Taiwan Studies (EATS), aims to be a principal outlet for the dissemination of cutting-edge research on Taiwan. Once launched, IJTS will be published in March and September every year. It will offer a platform for theoretical debates and empirical analyses, and create a space for discussion among international scholars working across disciplines in the social sciences, arts, and humanities. The journal is also interested in interdisciplinary approaches to Taiwan studies. IJTS welcomes submissions that are localised in focus, as well as research that is more global and comparative. Authors are encouraged to position Taiwan and Taiwan-related issues within different global, regional, and local contexts and processes. The journal’s Editor-in-Chief is Dr Ming-yeh T. Rawnsley, Research Associate of SOAS, University of London and Secretary-General of EATS (2012–2018). The Executive Editorial Board members are Professor Kuei-fen Chiu (National Chung Hsing University in Taiwan), Dr Dafydd Fell (SOAS, University of London), Professor Hsin-Huang Michael Hsiao (Academia Sinica), Professor Michael Shiyung Liu (Academia Sinica) and Professor Gunter Schubert (Tübingen University). Book review editor is Professor Gary D. Rawnsley (Aberystwyth University). If you have any queries or if you wish to propose a special themed issue, please write to the IJTS editorial office: ijts.office@eats-taiwan.eu. Please write to the Book Review Editor, Professor Gary Rawnsley (gdr1@aber.ac.uk) if you would like to review books relevant to Taiwan studies. Camphor Press with new release of classics! Unlike their other classics (which have new introductions added by people like Paul French and Camphor's John Ross) these are the vanilla originals, but cleaned up and formatted as smart e-books. Camphor has a dozen more to release over the coming months, so look forward to them!! A group of Vietnamese workers chill at 7-11 with Bar beer and a movie. STATUS QUO ANTE: US has one China policy, which recognizes Beijing as the government of China but does not include Taiwan in China. 1. In Nov of 2016 Trump receives briefings and explanations about Taiwan-US-China triangle as call with President Tsai Ing-wen of Taiwan is set up. Trump becomes aware that Taiwan is sensitive topic and China is unduly sensitive to criticisms and attacks, and aware of importance of US one China policy. 2. Dec 2, 2016. Trump and Tsai talk by phone, earth veers from its orbit, sun rises in west, sea and land change places. 3. Week of Dec 5. Trump attacks China for its South China Sea policy and exchange rate manipulations in Twitter outburst. This is pure trolling, designed to test how sensitive China is, and confirms that it is indeed a sensitive state, to which much attention is paid. He learns how easy it is to troll China. 4. Jan 17: “Everything is under negotiation, including ‘one China’,” Trump says. TROLL. 5. Storm ensues. Media and commentariat: ZOMG THIS CAN'T HAPPEN! 6. Xi-Trump phone call on Feb 9th. Trump affirms "our one China" policy, indicating that he/advisors understand nuances. Media portrays this as caving to China, suggests Xi got better of Trump, etc. 7. Trump wins the trademark case in China in November. 90 days pass with no objection, meaning that the trademark becomes his. Feb 14th, days after phone call, trademark is formally awarded to Trump. Since negotiations must have been going on for a while, the China government certainly knew there would be a call. If there had been no call, would an objection have suddenly appeared? (Kevin Drum at Mojo). Many observers wondered why Trump had taken so long to call Xi... every day he waits is one day closer to that 90 day deadline, with China not wanting to tick him off by having an objection appear. 8. Return to STATUS QUO ANTE. US still has one China policy which recognizes Beijing as the government of China but does not include Taiwan in China. Cost to Trump: zero. Cost to US: zero. Oh, but Trump now has unchallenged trademark. UPDATE: China violated own law to give Trump trademark? I went out to Chris Gunson from Dubai, whom I met through our respective blogs. Chris turned out to be excellent company. This trip inspired my latest piece for Taiwan News. The owner of the hostel explained that they weren't entirely legal. "It's difficult to get a license here, the government is reluctant to give them out. So I just say I am having a few friends stay." Why was there a problem? He said that the big hotels are putting pressure on the government to limit Bed and breakfasts. 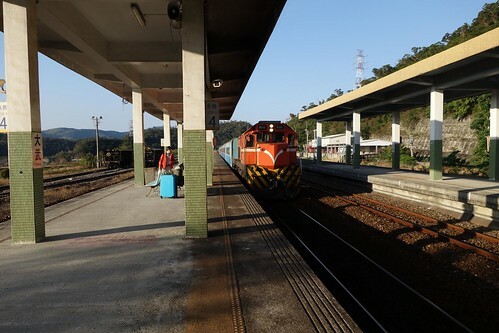 A train enters Dawu station in southeastern Taiwan. Trump really needs to stop calling leaders in East Asia. I'd rather be biking than writing on this stuff. But just before I left for another sojourn on the east coast with a group of close friends, the news came that Trump had made an about-face on one China. President Trump told President Xi Jinping of China on Thursday evening that the United States would honor the “One China” policy, reversing his earlier expressions of doubt about the longtime diplomatic understanding and removing a major source of tension between the United States and China since shortly after he was elected. The NYT report does not make clear what Trump's statement said, that the US would honor "our" one China policy (not China's). That little word, as many people pointed out, was highly significant, since it shows that the US is going to maintain policy continuity. The US one China policy does not include Taiwan in China. But one thing is certain: the likelihood that the United States will scuttle “one China” is next to nil, as such a policy goes against even what the more creative (and pro-Taiwan) of Trump’s advisers on Taiwan and China, people like John Bolton, have argued over the years. ....not much will change because Trump is surrounded by people who will keep policies that help Taiwan in place and expand around the edges where they can. ...wise hands steering Taiwan policy? Good to see. The Economist observed that Trump's one China pleased Taiwan as well. The Xi-Trump call also raised another issue, as Trump materially benefited from it, apparently, in violation of the US Constitution. One of the KMT supporting orgs in DC calls for the US to sell Taiwan advanced fighters. Hilarious, since the KMT opposed such sales during the Chen years and the Ma Administration kept the military budget lower than promised. Gangsters and now KTV hostesses recruited to fill KMT ranks. The wife of the boss of the famed Golden Jaguar KTV ran for the legislature for the KMT a few years ago. Looks like someone is trying to pack the party membership just in time for the Chairmanship election. Lots of attention to the news that the US is thinking of using uniformed marines for the new AIT office out in Neihu. China's attempt to punish Taiwan by withholding tourists failed. INDIA: Cole: India brushes off Beijing's complaints about Taiwan's women delegation visit to India. India says it ain't political. India adopts strategy to keep Taiwan engaged. Good piece by Bill Kazer arguing that Taiwan needs to hear Trump say "democracy"
MEDIAFAIL: it is CNN policy to lie about the US one China policy? 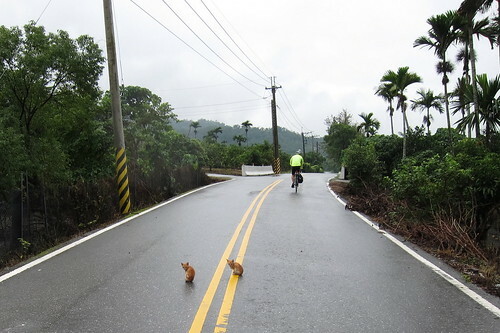 Riding off to the east coast from Fangliao in Pingtung. Washington officially sticks to a "one China" policy, acknowledging Taiwan being part of China and the People's Republic's status as the sole legitimate government of China. In 1979, the US acknowledged the People's Republic of China's claim that there is one China and that Taiwan is part of China, when Washington severed ties with Taipei to recognize Beijing. US policy is that Taiwan's status is undetermined. Washington's one China policy doesn't include Taiwan. All of us who track Taiwan policy know that. This information is freely available on the internet. Why doesn't CNN know it? Despite repeated attempts to contact the authors by email and twitter, only silence was received, and the misleading presentation/error remains. The piece also claims, wrongly, that Beijing and Taipei "reached an agreement" in the 1990s. No agreement was reached in the 1990s. It also refers to the "own interpretation" part of the "1992 Consensus" though Beijing has never accepted that codocil. The reason I ask the question above is that not only is there this false presentation of US China policy in the "explainer", but CNN presenters routinely say that the US says Taiwan is part of China. When CNN's Fredricka Whitfield interviewed Gerrit van der Wees of FAPA in early Dec, she began her first question by stating: "The U.S. does not formally recognize Taiwan as an independent state and backs Beijing's claim that Taiwan is a part of China." van der Wees corrected her, but the error is frequent on CNN and subsequently both Wolf Blitzer and Jake Tapper have made it. And check out this short video from CNN, which appears to refer to the "1993" Consensus. Somewhere, someone is misleading CNN. It needs to stop. Taiwan Affairs Office Spokesman An Fengshan told a regular press conference on Wednesday that China will hold a series of events to commemorate the 70th anniversary of the 228 Massacre in Taiwan. That will be later this month... a previous conference was held on the 65th anniversary. Most observers in Taiwan are interpreting this in light of the Taiwan-China relationship. Many said, as Cole observed, that it represents direct appeals to the people of Taiwan, since the CPP has likely realized that the KMT can no longer deliver the island. Of course, as always, it attempts to subsume the island's independent history into the faux historical narrative of the CCP. This is even more urgent for Beijing because young Chinese are changing, as everyone I know who interacts with them is reporting. A recent poll said it was "surprising" to find that they are less nationalistic. This should not be surprising. Chinese youth are traveling more than ever before, both abroad and in their own country and its occupied territories. They are better educated, and many have been abroad for extended periods. Such experiences change people, and while making them love their nation more, make them more thoughtful about their national identity. 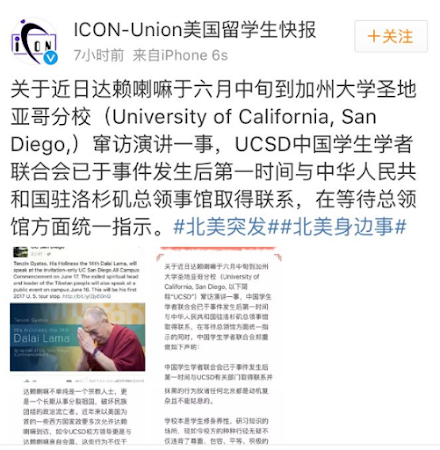 The reason it is "surprising" that Chinese youth are less nationalistic is because so much writing on China sources inflammatory quotes from the Chinese net, while making zero attempt to determine whether they are 50-centers planted on the net for the very purpose of managing this image of China abroad. ...China is allegedly mulling changes to the Anti-Secession Law. Since the CCP can attack Taiwan any time it likes, for any reason it wants, the idea that this is a "law" is clearly something aimed at the international media (as well as a sort of reply to the Taiwan Relations Act). One change mulled is to make it part of the "law" explicitly that China will attack if Taiwan does not accept Beijing's One China principle. This change will probably never happen, because of the way it reduces the options Beijing has in dealing with Taiwan. Rather, a number of experts pointed out that Beijing is probably running a whisper campaign designed to put pressure on President Tsai Ing-wen. 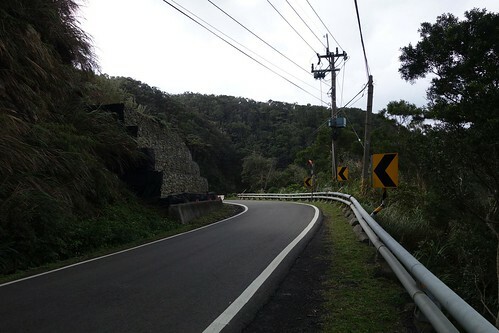 Taiwan eyes closer cooperation with Indonesia. And Malaysia. KMT fears cheating in the Chairmanship election because gangsters are signing up to become members. The KMT is endlessly creative in its exploitation of historical irony. Mark Harrison, always excellent, musing on authoritarianism, history, and geopolitics in Taiwan. International News Lens piece on record tourist arrivals in Taiwan in 2016. Wonder if the media people who published all the garbage about Taiwan being "hard hit" are going to publish corrections... retractions... or just plain describe reality for once instead of being so freaking conclusory. This piece on Taiwan traffic is fabulous. Greetings from SOAS Centre of Taiwan Studies! We would like to take the opportunity to inform you our latest event schedule and would appreciate highly if you could help invite people you know who may be able to attend these wonderful events. About those South Sea Islands.... When did China first notice them? 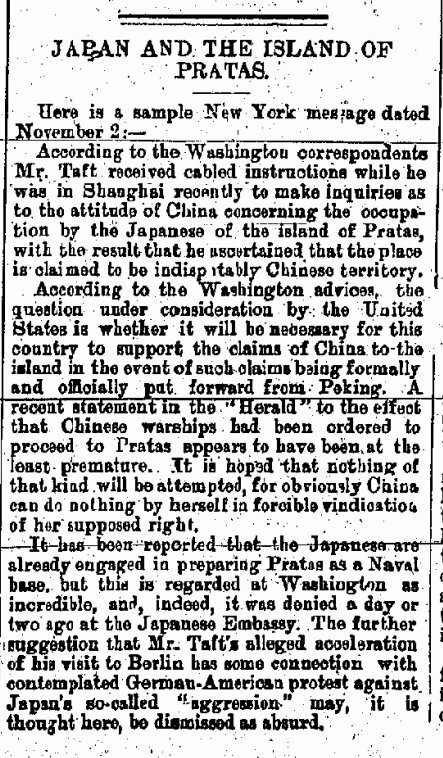 This was in 1907, and the actual occupant of Pratas Island was a Japanese businessmen who was interested in mining guano. 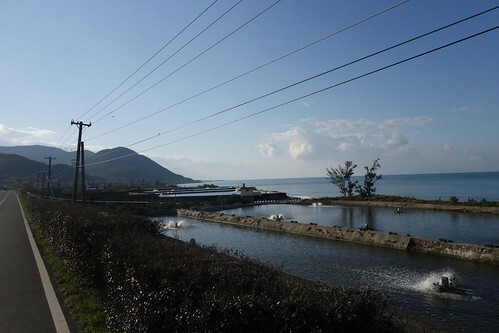 This was the first time that any government in Beijing had shown any interest in the island, now currently controlled by the ROC government and held by young men from Taiwan. Reverberating into local politics: Taiwan businesses in China are getting out as the China economy continues to slide. This will undercut the KMT argument, constantly made, that Taiwan needs to tie itself economically to China in order to survive. As each year passes, it is more and more clear that the golden age was under the Chen Administration, and the Ma Administration deeply impaired Taiwan's ability to engage China on Taiwan's terms. "After the Lunar New Year holiday, we will likely see a large-scale shutdown of small to mid-sized businesses in China, including those run by Taiwanese people," said the Association of Taiwan Investment Enterprises on the Mainland (ATIEM), a corporate community made up of Taiwanese businesspeople in China. The association said a wave of departures started around four years ago, adding that the current wave was different from before — in the past, while Taiwanese businesses would shut down factories in China, many kept their assets in the mainland as they maintained an optimistic outlook on the Chinese economy. "They used to either keep their mainland savings in banks or invest in real estate, businesses ventures or the stock market. 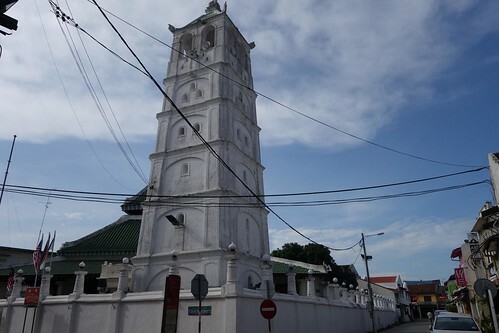 But what is different about the current wave of departures is that not only have the factories and assets left, people have stopped feeling any sort of sentimental attachment to the place altogether," an anonymous committee member of the association told local media. Those Taiwanese businessmen remaining in China will be either too invested to leave, or true expats unwilling to return to the homeland, slowly becoming ever more out of touch with their homeland. Like all expats they have developed a set of elaborate rationalizations for their living outside of their homeland, which are often mistaken for meaningful political commentary. However, the party’s Web site for online membership application does not include most Taiwanese counties and cities as an option for the applicant’s place of birth. Although it lists 59 locations for applicants to choose as their place of birth, no Taiwanese administrative division is included other than Taipei and Kaohsiung. They probably bought it from a Chinese company. UPDATE: Nope. It was deliberately designed that way to comply with the Republic of China territorial boundaries. KMT Chairmanship hopeful Steve Chan observed that the KMT might disappear if its internal splits continue. Report in English. The big news this week was Tsai's cabinet reshuffle. As a commenter predicted here last year when this disappointing cabinet was picked, Tsai is moving out the technocrats, among whom are KMTers (Taipei Times report quotes observers noting that too many KMTers remain) and replacing them with politicians who can effectively run the ministries and campaign for the DPP. It's February, remember, and campaigning for the 2018 elections, which will be held in Jan Nov of 2018, will begin at the end of the year. I expect more cabinet members to be replaced. Tsai also reportedly plans a new cross-strait policy in time for the elections. Hau, readers will recall, is the son of KMT reactionary General and Premier Hau Pei-tsun, and owes his high position entirely to the fact that his father is a powerful KMT figure. This habit of constantly replacing cabinet ministers is bad for Taiwan. Needs to stop... and Tsai's obliviousness to simple issues, such as appointing a family member to high posts in her administration, as well as appointing few women to positions in her cabinet, also needs to stop. Taiwan sees record high tourists in 2016. As expected. Excellent news for Taiwan. Nobody will even notice the loss of Chinese tourists, and as word gets around, tourists from more lucrative countries that aren't threatening to murder Taiwanese and take their island will come. And before you tell me something about soft power or people to people contacts or other nonsense, the Chinese group tourists were simply making China even more despised. The individual tourists are far more respectful and likable. Cambodia is rapidly turning into a protectorate of China (along with Laos). The PM this week banned the ROC national flag in deference to Beijing, but asked for Taiwanese investment to continue. Joe Hung, the reactionary KMT commentator, with another round of comical spew in China Post. A good look into what the Deep Blues actually think. NOT FAKE NEWS: Comically, after years of regurgitating Chinese propaganda about Taiwan in reports studded with errors and misunderstandings, BBC is producing a site dedicated to fighting fake news. Hint: look in the mirror, BBC. At one of the megalith sites outside Dulan. 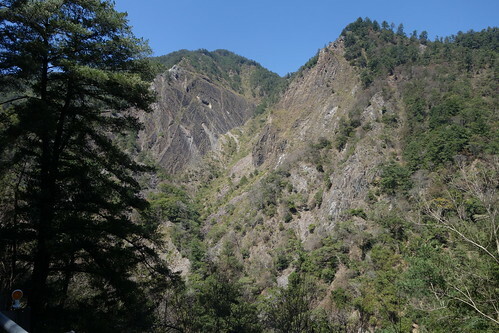 On the lower slopes of the mountains behind the hamlet of Chung Yung, known also as Katsawan, behind the town of Ch'ang Pin, a megalithic site was investigated by Sung in 1963. No megaliths remained in their original position at that time; all have been rolled down the hill from their original plateau site to the village below and incorporated in walls and house foundations. Shouldered stones are the most abundant. An important feature of the site is the presence of large round stones, usually basalt, of doughnut shape with a hole in the center. They are reminiscent of the stone money of the island of Yap in Micronesia, but are somewhat smaller in scale. The only other site with stones of this shape thus far encountered is T'ai Yuan. Coarse, orange, gritty pottery is common, and a few sherds of cord-marked pottery were also found. A small coarse, orange effigy of a dog or pig was found by Sung, and a similar specimen was illustrated by Kanaseki and Kokubu from Peinan (Kanaseki and Kokubu 1957: 55). One wonders whether or not these animal effigies have any relationship to the famous ones from Lanyu. One wonders how many of Taiwan's standing stones have become foundations, walls, tables... gravel. This image sent around Twitter apparently shows a communication from the local Chinese student association protesting the Dalai Lama's appearance on campus at UCSD and saying they are awaiting orders from the Consulate. .
At the Zhang family temple [pictured in FB post], which was rebuilt on this location in 1908. Another set of my daughter visiting her ancestors. Not only is her grandmother a Zhang from the area, but the area is also a cultural site for Dabenkeng Culture dated around 4800bp. 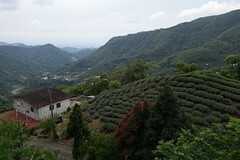 The Zhang family in Taichung comes from a Hakka translator, Zhang Da-jing who arrived on the scene in 1715 and later "married"several Pazih speaking indigenous women to secure land holdings. 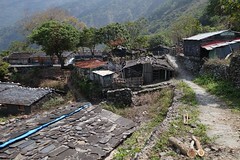 In an effort to better manage his lands and fortunes, Zhang Da-jing invited men from eight large Hakka families in Lugang to cultivate the area in a scheme to exchange water for land with the indigenes. There was a lot of intermarrying and this is possibly why few Taichung families recognize a Hakka root. 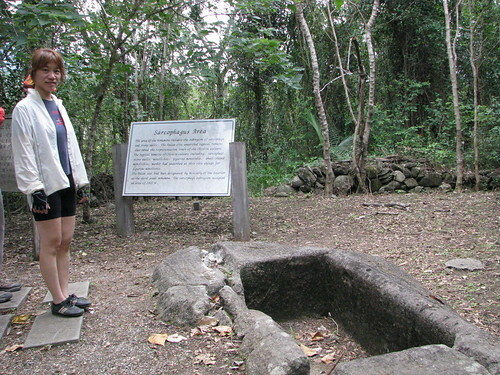 The Dabenkeng culture may be the culture of pre-Austronesians who, after a lengthy period of isolation from their original homeland, became some of the the Austronesian people who populated the Pacific islands, including Hawaii, Tonga, Easter Island and New Zealand...as well as the indigenous people of Taiwan. Ten Recommendations on US-Taiwan relations. Some useful stuff in here. 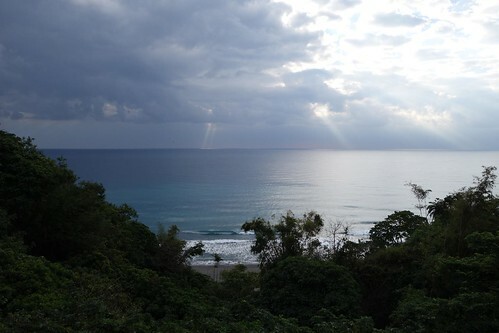 The Diplomat: Is trouble brewing in the Taiwan Strait? Useful chart of relationships between the languages of Taiwan. Taiwan to invest in solar energy. Now that the government has started to re-organize Taipower, always a major hindrance to renewables, we can finally see policies the nation needs. Cabinet re-organized, (Taipei Times) including bringing the Yilan County Chief in as ag minister. This looks like the first stages of the reorganization that swaps politicians for technocrats in time for the 2018 elections, whose campaigns will be held in the fall of this year. Yes, it is Feb, we are six or seven months away from another election. Punishment for Military officials visiting China and attending government events? Ag exports to China fell in 2016, likely due to bad weather along with political issues. 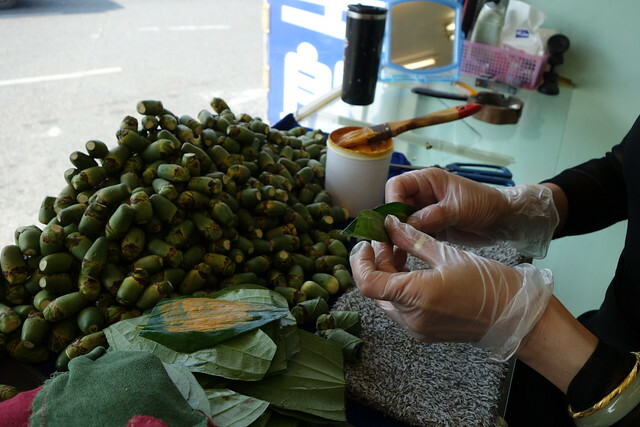 China is Taiwan's largest ag market, but the nation is looking to diversify towards new markets in the south. Taiwan Sentinel: Dismounting the Tiger... interesting perspective looking at how Taiwan can handle its China dilemma. Australia: Trump phone call may help make the Australia more independent of US policy.